Where is MBS? Why isn't Saudi Arabia quashing rumours of his death outright? Saudi Arabia's Crown Prince Mohammad bin Salman hasn't made a public appearance in a month, triggering rumours of a vile kind. His position demands a lot of visibility. In its absence rumours do swirl around. The all powerful Saudi Arabian Crown Prince, Mohammad bin Salman, has been missing on the world stage for more than a month. The uncanny absence of the ultimate champion of reform in the world's most orthodox Muslim nation has given rise to rumours of his death. The 32-year-old prince, who shot through the ranks quickly and annihilated opposition within the royal family with breakneck speed, has been mysteriously absent on public stage after the April 21 incident in Riyadh, which had been variously interpreted as a coup attempt and the shooting down of a drone. In the aftermath of the continued absence of the flamboyant royal, rumour mills thrived. The Iranian media took the lead in circulating theories of his death. However, even as Iran, the biggest adversary of Saudi Arabia, apparently allowed the MBS death rumours to thrive in the online space, authorities in Riyadh mysteriously chose not to rush to debunk the rumours. Was it because the claim was so outlandish and silly? Or was it because a response would be interpreted as a sign of their vulnerability? Or, worse still, was MBS injured in the alleged April 21 coup attempt? "At least two bullets have hit bin Salman in April 21 clashes in Riyadh and it is even possible that he is dead," wrote Iran's Kayhan newspaper. 'There is plenty of evidence to suggest that the absence of nearly 30 days of Muhammad bin Sulman, the Crown Prince of Saudi Arabia, is due to an incident which is being hidden from the public,' it claimed. The rumour that took life in Iran then spread around the world, with fringe Russian and Israeli news outlets picking it up. The carefully intoned reporting of the inflammatory rumour was then taken up tabloids in the US, UK, Pakistan and elsewhere. However, MBS, who had famously claimed in an interview with CBS in March that only death can stop his reform drive, did not turn up in public all these days. Finally, with the death and coup rumours flying thick and fast, the Saudi Arabian authorities released a couple of pictures of the Prince this week. One photo showed the prince attending a cabinet meeting in Jeddah while in another he was seen chairing a meeting of the Council for Economic and Development Affairs. However, this move gave rise to probing questions. Why wasn't a video released? Why didn't the prince attend any public events in the last month? Curiously, Prince Salman was not in attendance during the high profile visit of US Secretary of State Mike Pompeo at the end of April. MBS used to be highly active on the diplomatic circuit ever since his elevation to the position this year. His US visit in March was carefully choreographed to make him pass off as a visionary ruler from the Middle East. Yet he was completely absent during Pompeo's important visit. This week, reports from Saudi Arabia said a number of activists, including many women's rights activists, were arrested. The arrests came just a few weeks before one of the biggest 'MBS reforms' were to materialise. Saudi Arabia is officially ending the driving ban on June 24, a key promise made by MBS. Sceptics think the arrests of the women activists may hint at something more sinister. That MBS may have been killed in a coup, or that he has been debilitated. The rumour mills, however, don't offer any concrete evidence. 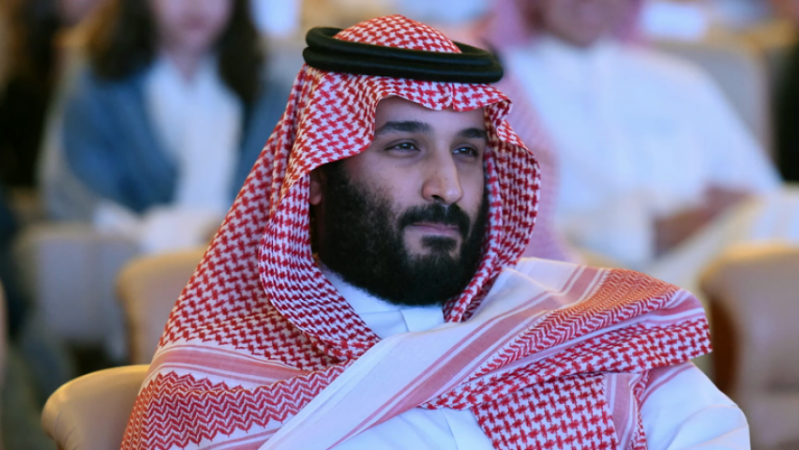 The crown prince was the force behind all of Saudi Arabia's recent policy standpoints. He was the architect of the much criticised war in Yemen. He was also the prime mover behind the diplomatic boycott of Qatar last year. He took the call on who among his cousins and uncles would go to prison for alleged corruption. He was the force behind the ouster of Saad al Hariri in Lebanon. He upped the ante in the tussle with Iran, saying its supreme leader Ayatollah Khamenei was worse than Hitler. He imprisoned a horde of powerful royals including Prince Alwaleed bin Talal in a spectacular anti-corruption drive. The all powerful prince has his hands on all levers of the government in the country. He directly controls the economy, military, the oil economy, foreign affairs and internal security. Such a position demands a lot of visibility. In its absence rumours do swirl around.